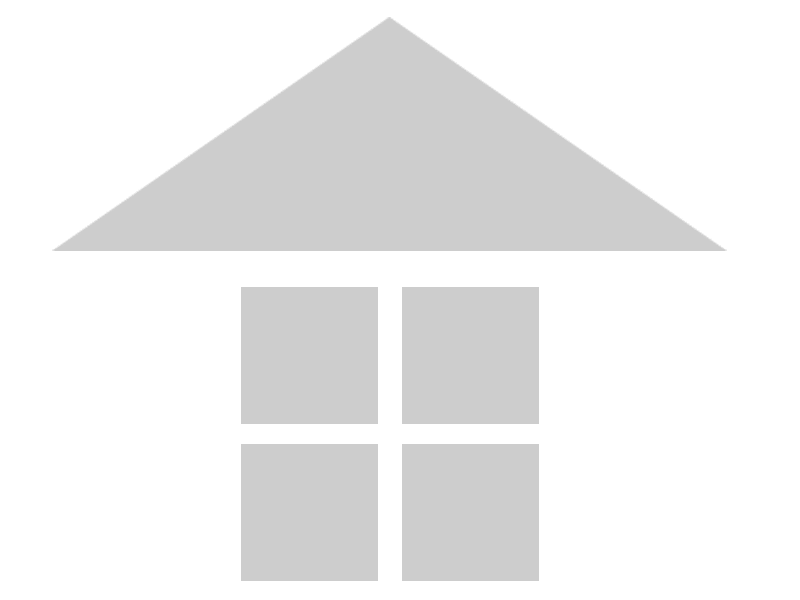 Our mission is to Respectfully Restore and preserve historic homes in the First Ward and its surrounding neighborhoods. 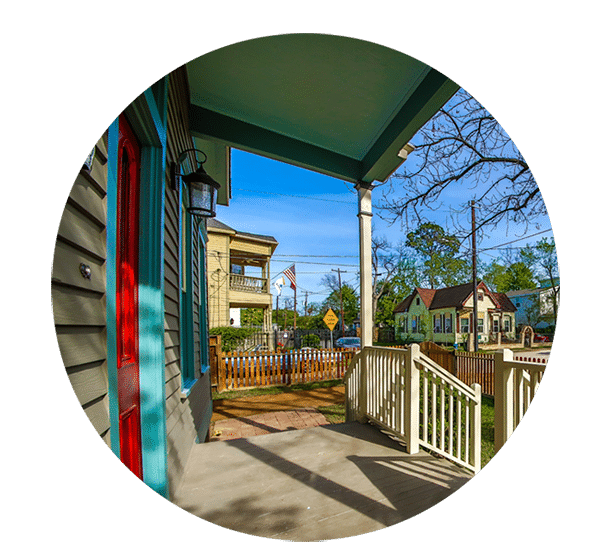 Our vision is to maintain the historic character of the neighborhood, to protect its heritage and to showcase its legacy to future generations. 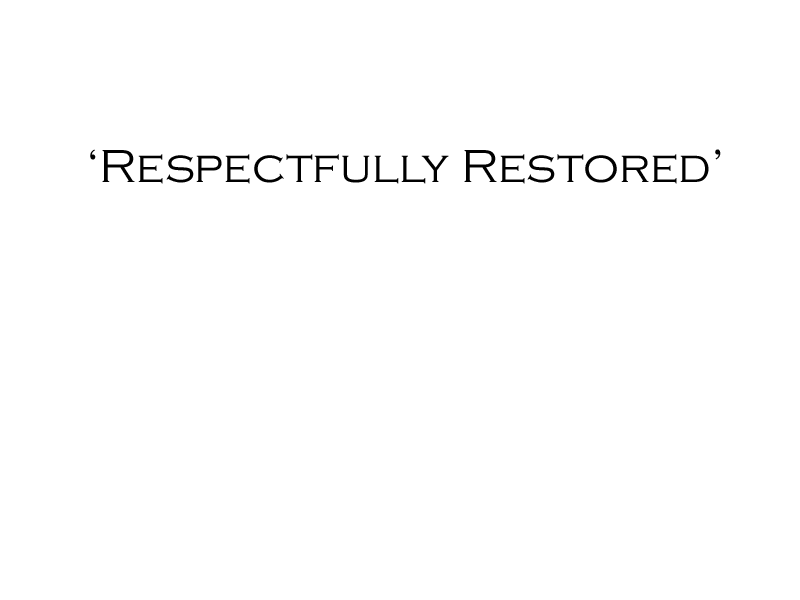 In recent years, the Washington Corridor has been experiencing rapid growth. This has significantly impacted the First Ward. and much needed to improve the quality of life in the neighborhood. However, too many historic single-family homes, in good or at least, salvageable conditions, have been demolished and replaced with 3- and 4-storey townhomes. This practice is so widespread that it threatens to destroy the historic fabric and character of the neighborhood. 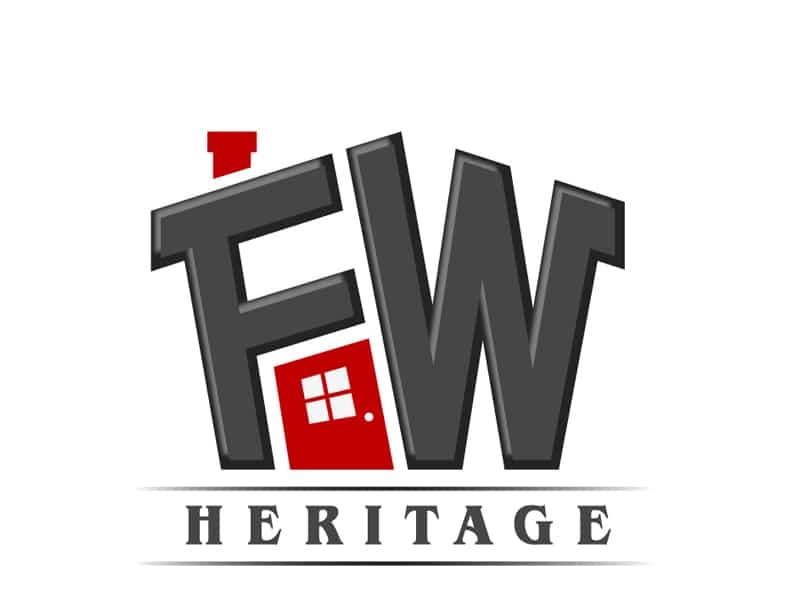 FW Heritage presents its neighbors with an alternative – sell your historic homes to us, and we promise it will not be torn down. Instead, it will be Respectfully Restored. 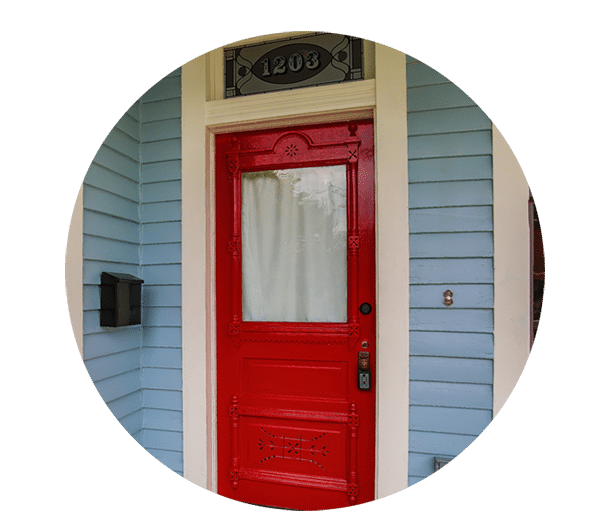 Each Respectfully Restored home’s front and back doors are painted the trademark FW Heritage red – red doors into a home means it is a place full of vibrancy, life, positive energy and excitement. 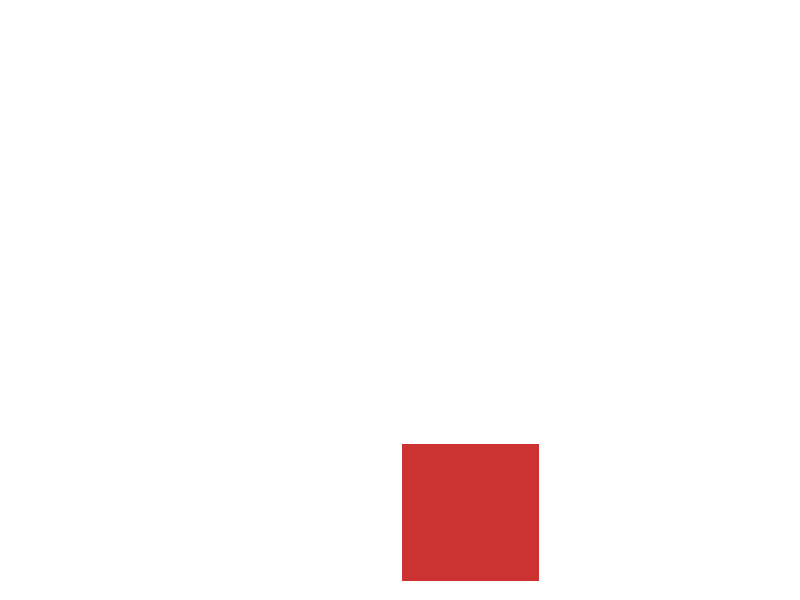 In almost every culture, the color red means “Welcome”. In Feng Shui, a red door draws the chi (positive energy) into the house. In early America, a red door was always a sign of welcome to the passing horse and buggy traveler. In Catholicism, the red door on a chapel symbolizes the blood of Christ and other martyrs, signifying that the ground beyond the door (inside the church) is holy, and a sanctuary from physical and spiritual evils. And the same goes in Ireland, where a red door wards off ghosts and evil spirits. Once upon a time in the deep South, many people painted their porch ceilings a specific shade of Haint Blue, a soft blue-green, to ward off evil spirits called “haints”. Although ghosts and goblins might not be front-of-mind for today’s homeowners, many continue the tradition of blue porch ceilings to keep ties to their home’s Southern roots. But blue porch hues aren’t exclusively Southern. Along the East Coast, blue porches are still prevalent in cities like Boston and Philadelphia where Victorian homes are popular. Light blue porch ceilings match the color of the sky perfectly and help to visually extend daylight even after the sun has begun to set. Sky blue paint might actually fool insects too. Many theorize that porches painted a soft blue will trick spiders, wasps and other insects into thinking it’s the sky, taking their nests elsewhere. Thank you so much for inviting us to see what used to be our home. My mother and I were beside ourselves to see the renovations. We loved our home and we always saw it for what it is, a beautiful home. Even though we knew it was beautiful, we never imagined that the house could look as amazing as you have made it. Walking into the house brought back so many memories and we are thankful that a lot more memories can and will be made by all the other families who will live here. I could go on and on about how thankful we are that the house is still standing because of you, but in all honesty, there really is not enough words to sum up how we really feel. Once again thank you for letting us take one last look at the house and Thank You for saving it!! The red door is a joy to enter and see the beautiful work that you all have put into these homes. Thank You for making us a part of this.